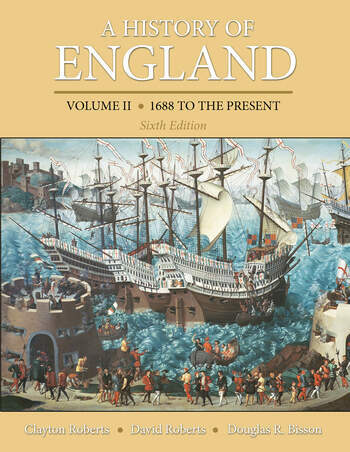 A History of England, Volume 2 (1688 to the Present), focuses on the key events and themes of English history since 1688. Topics include Britain's emergence as a great power in the 18th century, the American War for Independence, the Industrial Revolution, and the economic crisis of the 1970s. Douglas R. Bisson is professor of history at Belmont University in Nashville, Tennessee. He is the author of The Merchant Adventurers of England: The Company and the Crown, 1474-1564 (University of Delaware Press, 1993) and co-author of A History of England, sixth edition, two volumes (Pearson, 2013).